Set in an alternate version of Earth, you play as Hiyoko Tosaka, a teenage human girl in Japan who attends St. PigeoNation’s Institute—a high school for birds only. Your fellow classmates are pigeons and doves, and you must say and do the right things to make your chosen feathered friend fall in love with you. Sounds just a little bit strange doesn’t it? In this fun-filled sequel, Hatoful Boyfriend: Holiday Star will once again put your dating skills to the test. Is Hatoful Boyfriend: Holiday Star just as compelling and unique as its predecessor? 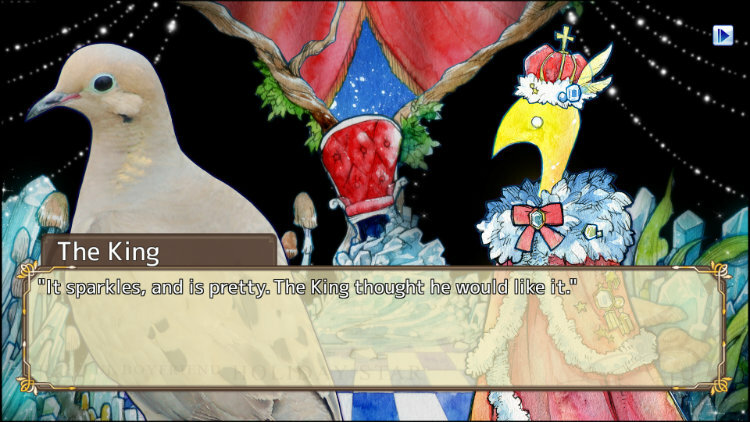 Let’s dive into the wonderful alternate world of Hatoful Boyfriend: Holiday Star and find out. You won’t want to miss this review at The Co. I was on the edge about buying the original, but the more I hear about this series the more inclined I am to give it a go. Are the mechanics 100% visual-novel based, or are there minigames interspersed throughout? I had the same reservations about the game before playing. It's pretty much 100% visual-novel based. I would highly recommend picking up Hatoful Boyfriend and Hatoful Boyfriend: Holiday Star they are truly unique and you will be surprised at just how much fun you will have. The games kept me laughing non-stop.